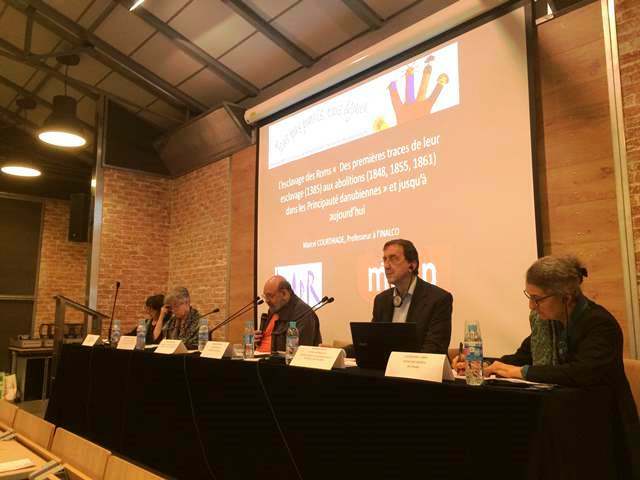 On 18 April 2015, International Movement Against All Forms of Discrimination and Racism (IMADR) joined the Joint Symposium on “Past and Present Discriminations” organised by MRAP (Mouvement contre le Racisme et pour l’Amite entre les Peuples) , a long-standing partner organisation of IMADR. The Symposium was opened by Ms. Bernadette Hetier, co-President of MRAP, who introduced the history of MRAP as an anti-racism organisation established in 1949. She also shared the struggles of Buraku people in Japan and their determination to fight for equal rights of people in the world through establishing IMADR. The Central Council of German Sinti and Roma , an IMADR partner, was also cordially invited to join the panel in the afternoon. Summary of the Symposium can be downloaded here.